Wild Bergamot (Monarda fistulosa) is a showy perennial that grows across most of the continental US. Growing wildflowers in gardens and landscapes continues to rise in popularity. They add interest and beauty to any landscape in addition to attracting various forms of wildlife. Some species are also ideal for cut or dried flower arrangements. What is a wildflower? A horticultural definition is a flowering plant that grows in a natural uncultivated state or survives in a given area with little care. Wildflowers include annuals, biennials, or perennials. Wildflowers vary by region, but many similar species occur natively across the United States. Although wildflowers require little maintenance, especially when compared to traditional cultivated gardens, they do require some level of effort. Spend time on the proper selection of wildflowers, knowing that the success of a wildflower species or mixture depends on the adaptability of the species to its environment. Select the right wildflowers for a given habitat. Be aware that many wildflowers have specific needs regarding soil, light, and moisture. In some cases, these variables can be altered to create more favorable growing conditions, but in the end, it is preferable to select wildflowers that are suited for the existing location. For more information on native wildflower selection, see HGIC 1727, Pollinator Gardening. Zinnias (Zinnia spp.) are commonplace in many wildflowers beds. Most wildflowers thrive in areas receiving full sun throughout the day. They do well in open areas with few trees, but can be attractive in smaller areas if space is limited. Woodland wildflowers do well in lightly shaded areas. Wildflowers vary in their moisture requirements depending on their natural habitat. There are drought-tolerant wildflowers such as black-eyed Susan (Rudbeckia hirta), butterfly weed (Asclepias tuberosa), and wooly mullein (Verbascum thapsis) that occur in dry habitats. Moisture-loving wildflowers such as cardinal flower (Lobelia cardinalis), rose turtlehead (Chelone obliqua) and pale gentian (Gentiana villosa) are best cultivated in low, moist areas of the garden, including bogs and along stream banks. Consider the low maintenance approach to wildflower gardening by choosing species that are drought-tolerant, knowing that watering may be necessary to help them along until established. Annual wildflowers are prompt to germinate when sown in spring after threat of frost and establish quickly. Perennials can be sown in spring, though they may be slower to bloom, or fall. Perennials become fully established in their second summer providing an abundance of seed for the following fall. Once established, wildflowers will typically not require supplemental irrigation unless experiencing extreme or prolonged drought conditions. Avoid wildflower species that have high moisture requirements unless those conditions exist naturally in the landscape. Meadow Beauty (Rhexia virginica) is a perennial species occurring in moist natural areas. Many wildflowers have specific soil requirements. Most require well-drained soils, while other species tolerate poorly drained, boggy conditions. Woodland wildflowers prefer soils high in organic matter whereas meadow species prefer less fertile soil. Choose to plant wildflower species that will perform best in the desired planting site. To improve the growing conditions for the wildflowers, maintain the proper soil pH by having the soil tested through the local County Cooperative Extension Office. 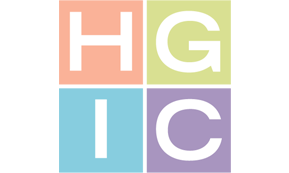 See HGIC 1650, Changing the pH of Your Soil, for an explanation of soil pH, and HGIC 1652, Soil Testing, to learn how to take a soil test. Wildflowers are propagated (reproduced) by both sexual (seed) and asexual (vegetative) means. Seed propagation is easier and less expensive than vegetative propagation, which is done by division or cuttings. There will be a certain amount of variability among the seedlings produced from seed versus vegetatively propagated plants. Propagating wildflowers from seed is similar to propagating cultivated annuals and perennials. Many seeds will germinate as soon as they ripen or dry. Others may require a period of stratification consisting of moist, cool temperatures for six to 12 weeks at around 40 °F. Stratification satisfies the dormancy requirements of the seeds that cause germination to occur naturally during the winter. Some seeds with hard seed coats need to be scarified prior to germination. This process consists of chemical or physical treatment that breaks down the seed coat to allow the seed to absorb water. Some wildflower species may require both stratification and scarification. Before seeding, learn about the specific germination requirements of the species. Special care may be required for slow-germinating wildflower seeds, seedlings that are slow to develop, and species with only a few seeds available or rare expensive seeds. Sow these seeds in flats or other containers instead of directly into an outdoor bed. Select a well-drained, well-aerated medium that holds adequate moisture, such as a mixture of peat and sand or commercially available peat-perlite mixes. After seedlings reach several inches in height with a couple of sets of leaves or begin to outgrow the flat, move transplants to individual containers or directly to prepared beds. Soil Preparation: Wildflowers germinate and grow best in soils that have been prepared prior to seeding and have plenty of moisture available. In South Carolina, sow seed from September through November when the soil temperatures begin to drop below 40°F. This time is ideal for spring- and early summer-flowering wildflowers. Seeding in the fall allows young plants to take advantage of rain and cooler soil temperatures. The seedlings, especially hardy winter annuals and perennials, become established during this favorable time. Spring plantings from March to late April are fine if the moisture demand of the young seedlings is met. Perennials planted in the spring generally will not flower until the second growing season. Spring planting of wildflowers may result in competition with weedy species if the soil is not prepared properly. Transplants or container-grown wildflowers that flower in early spring are usually best transplanted in the fall. Those that flower late in the year are best transplanted in spring. Late spring- and summer-flowering species are typically planted in spring or fall. There are many exceptions to the rule of course, depending on the time of year the plant is active or dormant. Once the planting site is selected, submit a soil sample to your local County Cooperative Extension Office four to six weeks before planting to determine the soil pH and fertility levels of the site. Wildflowers tend to thrive at a soil pH ranging from 5.5 to 7.0. For meadow plantings, closely mow the area before planting. After the regrowth reaches 6 to 8 inches high, spray with a nonselective postemergent herbicide containing glyphosate according to label directions. Wait 7 days to 2 weeks before lightly cultivating the soil. If green vegetation is still present, make a second application of the postemergent herbicide. Avoid deep tilling which can bring more weed seeds to the soil surface. When preparing a site for moisture-loving woodland wildflowers, pay attention to tree roots when cultivating the ground. Excessive damage to tree roots will affect tree health. Woodland wildflowers species thrive in well-drained soils with light shade, often found at the edge of woodlands. Addition of a 1 to 2 inch layer of rotted leaves or peat moss helps retain moisture and provides protection against drought throughout the year. Generally, fertilizers should be used with caution at planting sites because the added fertility often will stimulate the growth of competing weeds. Also, do not use topsoil as an amendment because it may contain weed seeds. Direct Seeding: Select wildflower species and mixes adapted to the planting site. For large areas use the seeding rate recommended for the individual wildflower mix or species, usually in the neighborhood of 10 pounds per acre. 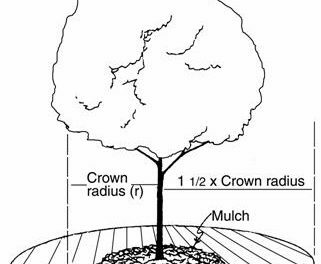 For smaller areas seed at the rate of 4 to 5 ounces per 1,000 square feet. Mix wildflower seeds with sand or perlite before broadcasting to maintain a uniform application. 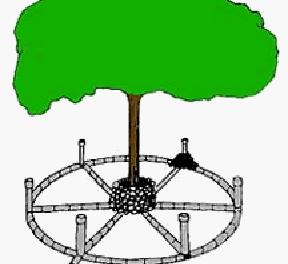 Seeding large areas may be accomplished with a special drill seeder or by mixing seed with dry sand and then spreading with either a drop-type or rotary spreader. To ensure good seed-to-soil contact after seeding, lightly rake and tamp or roll the area. Following seeding, apply a light mulch of straw or pine needles to conserve soil moisture and protect young seedlings. Keep the planted area moist for four to six weeks during seedling germination and development. Planting when normal seasonal rains occur is ideal. Transplanting: The transplanting techniques for wildflowers are similar to those for cultivated plants. Set the plant in the ground at the same depth it was growing in the nursery. For most wildflowers, the crown should be level with or just below the soil surface. Also, pay careful attention to watering during the first few weeks of establishment. Mulch helps conserve moisture and keep the roots cool. Some wildflowers with rhizomes or running underground stems benefit from several light applications of a leaf mulch during the year to help conserve moisture and enrich the soil. Wildflowers are “low maintenance,” not “no maintenance.” Without some attention, most will not flourish for long. Weeding: Meadow wildflower gardens have special maintenance requirements because of the potential for weed invasion. While a meadow garden does not have to be weed-free to be attractive, extremely vigorous or invasive weeds may require control. Remove isolated weeds by hand if possible. Herbicides may be more effective in certain situations. Read the label carefully and exercise caution when using herbicides to avoid injuring desirable plants. Fertilizing: Wildflower seedlings can be lightly fertilized when nutrient deficiencies are evident. Broadcast applications of 500 to 1,000 pounds per acre of general-purpose fertilizer in spring or early summer can benefit wildflower plantings in typically infertile sites. Recommendations based on proper soil testing are preferred. Mowing: Generally, meadow gardens should be mowed at least once a year in late fall or early spring at a height of four to six inches. Small areas can be cut with a swing blade or scythe. During the growing season, several mowings may be needed around the outside of meadow plantings to better define the wildflower border. Wildflowers are not pest-free. Wildflowers persist in given areas largely because they adapt to soil and climatic conditions and are less prone to serious insect and disease problems. An important consideration in choosing wildflowers is their relative freedom from pests. Wildflower meadows are attractive to many pollinator species as well as humans. Barbara Smith, © 2017 HGIC, Clemson Extension. Many commercial wildflower mixes for meadows have been designed for the Southeast. Ideally, annuals and biennials reseed themselves, and the perennials continue to bloom year after year. In practice, however, some species disappear while others flourish. The mix of species and colors is likely to change with time and progression through varying seasonal growing conditions.